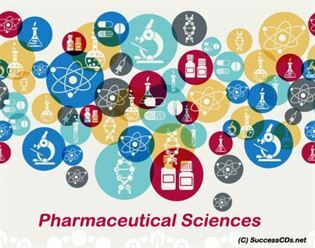 Let’s have a look today at career options in the Pharmaceutical Sciences. The course basically aims at dealing with teaching its students how to dispense and prepare medicines. Also the course makes the student aware of the drug related information to the public. The aspirants of this course will also be by the end of their course be able to give advice on health care programmes as they will be more aware of the prescriptions given by doctors. They are also able enough to evaluate drugs and drug use pattern. In order to be able to pursue pharmaceutical sciences the student must have passed his Class 12 examination from CBSE, ICSE and Intermediate Vocational course with bridge course (MPC/BPC) or any other qualification approved by the Pharmacy Council of India (PCI) as equivalent. Although mostly all colleges would have a certain amount of cut off or a preliminary paper to clear but mostly the qualification to pursue pharmaceutical science will mostly remain the same. The course of regular academic study prescribed under regulation 7 shall be conducted in an institution, approved by the Pharmacy Council of India under sub-section (1) of Section 12 of the Pharmacy Act, 1948. Only a student released from PCI approved college is eligible to get register in respective State Pharmacy Council, SPC to be called as registered pharmacist. As per the recent directions of Pharmacy Council of India, prior approval from PCI is compulsory to run D.Pharmacy course in a college. R & D: Thr pharmacy industry is one such industry that thrives on research and development. For this option, M.Pharms and Ph.Ds are highly in demand for research of new drugs, process development, formulation, development, clinical trials and Toxicological Studies. Analysis and Testing: Analysis and testing go hand in hand with this industry specially in order to maintain a proper Quality control (QC) and Quality Assurance (QA). For the same highly skilled staff is required by companies to handle sensitive analytical dealings and sophisticated equipment. Production and Manufacturing: the options of working in production and manufacturing are huge. One can start his/ her own venture or work for someone. Professionals for production and manufacturing are not only required by biotechnological products, surgical dressings, medical devices, equipment, ayurvedic/ homeopathic / unani medicines, veterinary medicine, etc are also the requirement for the production of cosmetics, soaps, toiletries and dental products. Marketing: The Pharmaceuticals sales and marketing is considered to be a highly technical arena and hence one of the best when it comes to perks. Hospitals: Although it might be a trend of the US or Canada, but it is one that seem to be setting in India as well. The pharmacists in the hospitals are the best informed individuals for prescribing a drug. Mostly in western countries, the diagnosis is made by the Doctors but the pharmacists decide the medicines and their dosage. Therefore, Pharmacy graduates have important role and can earn attractive remuneration and can occupy strategic positions. Regulatory Bodies: There are bodies that control and regulate medicines. FDA is the regulatory body that deals with governing and implementing the rules and regulations for the Drug and Pharmaceutical industry. The post of Drug Inspector, Asst. Drug Controller, Deputy Drug Controller, Drug Controller of state and finally D.C. I. (Drug Controller of India) is an option one can aspire for.